Got a broken wiper arm?. "Dorman Wiper Arm --. 2 Wiper Arms. Notes : Kit components - 2 Wiper Arms. Quantity sold : Set of 2. Therefore all implied warranties that may apply to your part are limited to the duration of this written warranty. Product Type: Wiper Blade | Replaces: 3799828 94144209 8521206130 76630SK7A02 4389-062 NC11-67-3309U | Location: Both Sides | Quantity: 2 | Wiper Blade Length: 18" | Source: OEM . Series : Trico Neoform. Blade color : Black Blade. Blade material : Teflon rubber Blade. Length : 26 in. Condition : New. General Warranty Limitations (Applies to all Product Warranties). The warranty is subject to the General Warranty Limitations below. These are for the bayonet style arms. See compatibility chart for your exact application. Buying a quantity of 1 will get you one pair(2) wiper blade assemblies. • Are incomplete or missing parts; or. Got a broken wiper arm?. 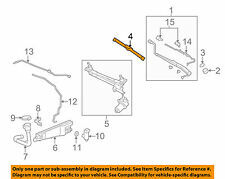 "Dorman Wiper Arm --. Series : Dorman Help. Notes : Hook Wiper End Type; Spray Nozzle Included. Condition : New. Simple installation with no need for modifications. Therefore all implied warranties that may apply to your part are limited to the duration of this written warranty. Wipers123 is an authorized dealer, thus TRICO's warranty is fully valid. 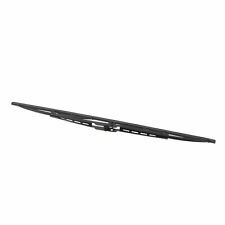 TRICO FORCE 2-Wiper Blade Bundle for left & right front wiper positions on specified vehicles. You will receive 2 wiper blades. 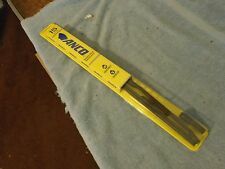 New anco wiper bladeS. 5 EACH . Series : Trico Exact Fit. Blade color : Black Blade. Blade material : Rubber Blade. Length : 26 in. Therefore all implied warranties that may apply to your part are limited to the duration of this written warranty. "Denso Wiper Blade --. Blade color : Black Blade. Blade material : Rubber Blade. Condition : New. Therefore all implied warranties that may apply to your part are limited to the duration of this written warranty. TRICO Classic™ Wiper Blades. Wiper blade size – available in lengths from 10", 11", 12", 15" and 18". Alaska, Hawaii, Puerto Rico. 48 Continental States. Silver finish. 26" & 15" Trico Exact Fit. TRICO Exact Fit®. TRICO Exact Fit. Beam W iper Blades. ®beam provides uniform pressure for the clearest wipe. Wiper blade size – available in lengths from 15" to 28". There is a good chance we can help you. 1968 GMC G25/G2500 Van. 1968 GMC P15/P1500 Van. 1968 GMC P25/P2500 Van. 1968 GMC P35/P3500 Van. 1968 Lincoln Mark III. 1968 Nissan 510. 1968 Opel Kadett. 1968 Opel Rallye. Got a broken wiper arm?. "Dorman Wiper Arm --. Series : Dorman Help. Condition : New. General Warranty Limitations (Applies to all Product Warranties). The warranty is subject to the General Warranty Limitations below. Got a broken wiper arm?. "Dorman Wiper Arm --. Series : Dorman Help. Condition : New. Simple installation with no need for modifications. Therefore all implied warranties that may apply to your part are limited to the duration of this written warranty. "AC Delco Wiper Blade --. Series : AC Delco Specialty. Blade color : Black Blade. Blade material : Rubber Blade. Notes : With overlap blades, double arm, and two-piece windshield; Original arm and blade inseparable, replace with both new arm and blade. (Wipers123 is an authorized dealer, thus TRICO's warranty is fully valid. 100% of our inventory is factory-direct & factory-fresh.). Trico Force Features Super premium beam blade performance. Apply the Rain X Anti-Fog and it decreases interior fogging of your windshield, windows, and mirrors. Quiet and smooth wipe in all seasons. If a part doesn't fit, don't try to "make it fit" and risk damaging the part, your car, or yourself! Length Passenger or Driver Side Front or Rear. Series : Anco Profile. Blade color : Black Blade. Blade material : Rubber Blade. Length : 17 in. Therefore all implied warranties that may apply to your part are limited to the duration of this written warranty. PIAA's Super Silicone Wiper Blades part number 95045 are designed to be the wiper of choice for many vehicles. The wiper insert of all PIAA wiper blades is made of silicone rubber, which ensures greater visibility by coating the windshield with silicone to promote continuous water beading in inclement weather. The silicone coating also reduces drag and eliminates annoying and inefficient chattering, regardless of the shape of the windshield to provide greater comfort for both driver and passenger. And the best part: PIAA Super Silicone Wiper Blades reapply the silicone coating every time the wipers are used. PIAA wiper blades maintain a sharp, clean edge and offer better resistance to all climates (heat, ozone, ultra-violet) -- clearly out performing the industry standard rubber blade with their durability, as well. Genuine Bosch. 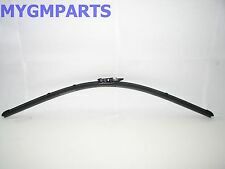 1x Driver side wiper blade. 1x Passenger side wiper blade. This set includes . Length; Made of finest and top-quality rubber and high-strength steel for maximum durability and excellent performance in wet and wintry weather; Encased with protective boot to help prevent snow and Ice from clogging the blade for a clean wipe and enhanced driving visibility; Easy installation. ".